Top 20 (#17) on the radio chart. Click to listen on the platform you use! Thanks for listening, adding to your playlist, and buying for yourself or a friend! 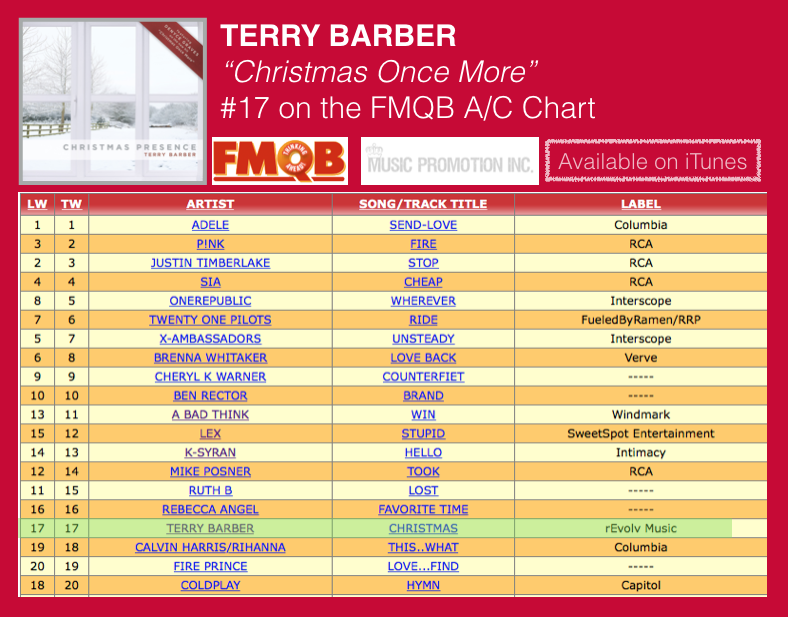 I hope you hear “Christmas Once More (radio edit)” on the radio this season! Yes, there is a “Terry Barber” Pandora station, Spotify Station, Youtube Channel, etc etc! Thanks for everything you do to stay in touch and share my work with your friends!